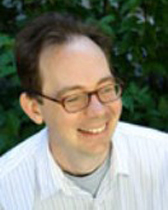 Christopher Bush (Ph.D. in Comparative Literature, UCLA) is Associate Professor of French and Comparative Literary Studies. His research and teaching focus on transnational and interdisciplinary approaches to literary modernisms, especially the interactions between Euro-American and East Asian aesthetic theory, avant-gardes, and media. He is Co-Editor of the journal Modernism/modernity and at Northwestern co-directs the graduate cluster Global Avant-garde and Modernist Studies. Past honors include a Fulbright research grant, the Bernheimer Memorial Prize for Outstanding Dissertation in Comparative Literature, the Cotsen-Behrman Fellowship in the Princeton Society of Fellows, the Aldo and Jeanne Scaglione Prize for a Translation of a Literary Work, and a Mellon New Directions Fellowship. He has published in such edited volumes as A New Vocabulary for Global Modernism (Columbia, 2016), Ezra Pound in the Present (Bloomsbury, 2016),The Modernist World (Routledge, 2015), Modernism and Theory: A Handbook of Modernist Studies (Blackwell, 2013), and Drawing from Life (Mississippi, 2013), Modernism and Theory: A Handbook of Modernist Studies (Blackwell, 2013), and The Modernist World (Routledge, 2015). Previous publications include Ideographic Modernism: China, Writing, Media (Oxford, 2010); articles in such journals as Comparative Literature, Comparative Literature Studies, and Representations; and a collaborative translation and critical edition of Victor Segalen's Stèles (Wesleyan, 2007). His currently working on two book projects, The Floating World: Japoniste Aesthetics and Global Modernity (under contract with Columbia) and The Global Avant-garde (under contract with Bloomsbury). He teaches a range of undergraduate and graduate courses, primarily focused on modernist literatures of the early twentieth century, the historical avant-gardes, and critical theory, including "The Avant-gardes in the World," "Foucault, Discourse, Power," "European and American Images of Japan," "Bergsonism and Global Modernism," and "French Hegel."